In 1694, during the Nine Years’ War, Sir Richard Atkins was authorised to raise a regiment of foot for service in Ireland. Sir Richard Atkins’s Regiment of Foot was duly formed. In 1694 the colonelcy of the unit changed and it became Colonel George Villier’s Regiment of Foot. With the signing of the Treaty of Ryswick in 1697 the war came to an end. Villier’s Regiment was duly disbanded in 1698. By 1702 England was again involved in a European conflict which became known as the War of the Spanish Succession. Villiers was commissioned to reform his regiment as marines. In February 1702 George Villier’s Regiment of Marines (or the 2nd Regiment of Marines) was reraised. The unit took part in the capture and defence of Gibraltar in 1704 – 1705. It subsequently took part in a number of actions in the Mediterreanean and Spain, including the capture of Barcelona and Majorca. The regiment’s title changed with the name of its colonel: Alexander Luttrell in 1703, Joshua Churchill in 1706 and Sir Henry Goring in 1711. With the signing of the Treaty of Utrecht in 1713 the war came to an end. The majority of the marine regiments were disbanded, with some retained and converted to line infantry. Gorings Marines were one of these and became Sir Henry Goring’s Regiment of Foot, with precedence as 31st regiment of foot, although it continued to be known by the name of its colonel until 1751. The unit saw action repelling the Jacobite rising of 1715. They then spent twenty-six years manning garrisons in Ireland and England. The regiment sailed to Flanders in 1739, and in the following year took part in the Battle of Dettingen. It was at this engagement that the unit received the nickname “Young Buffs”. They were part of a force led into action by King George II who mistook them for the 3rd Regiment of Foot, who were known as ‘”the Buffs” due to their buff facings and waistcoats, the sovereign called out, “Bravo, Buffs! Bravo!”. When one of his aides, an officer of the 3rd Regiment of Foot, corrected the monarch, he then cheered, “Bravo, Young Buffs! Bravo!”. It was subsequently at the Battle of Fontenoy in 1745 where it suffered heavy losses, returning to England later in the year. They were posted to Minorca in 1749. On 1 July 1751 a royal warrant was issued declaring that in future regiments were no longer to be known by their colonel’s name, but by the “Number or Rank of the Regiment”. Accordingly Lieutenant-General Henry Holmes’s Regiment was renamed as the 31st Regiment of Foot. 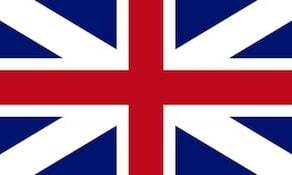 The 31st returned to Great Britain in 1752, remaining there until 1765. A second battalion was formed in 1756, and was reconstituted as the 70th Regiment of Foot in 1758. From 1776 to 1781 the 31st Foot were in North America during the American War of Independence, losing a large number of prisoners at the Battle of Saratoga. In 1782 all regiments of the line without a royal title were given a county designation and the regiment became the 31st (Huntingdonshire) Regiment of Foot. Following the ending of that war the 31st formed part of the garrison of Quebec before returning to England in 1787. The 31st took part in minor engagements in the West Indies, the Netherlands, Sicily and Egypt. In 1805 a 2nd battalion was again formed. In 1808 the 2nd Battalion landed in Portugal, and took part in the Peninsular War, including the Battle of Talavera in 1809, Albuera in 1811, Vittoria and Nivelle in 1813, and Orthes in 1814. The 31st was reduced to a single battalion regiment in 1814 when the two battalions merged in Sicily. With the outbreak of war with Afghanistan in 1839, the regiment moved to the country and fought with Sir George Pollock’s avenging army at the Battle of Kabul in 1842. War between the East India Company and the Sikh Empire broke out in 1845. The 31st, who had returned to India from Afghanistan in 1840, were part of the British force at the battles of Mudki, Ferozeshah, Aliwal and Sobraon. In 1855 the 31st sailed to the Crimea, and fought at the Siege of Sevastopol. The 31st next saw active service in China, moving there in 1860 during the Second Opium War and taking part in the capture of the Taku Forts. The regiment remained in China until 1863, and was involved in suppressing the Taiping Rebellion. For the regiment’s remaining separate existence it was based at various garrisons in the United Kingdom, Gibraltar and Malta. On 1 July 1881 the Childers reforms came into effect, and the 31st Foot was paired with the 70th (Surrey) Regiment of Foot to form the East Surrey Regiment. The 70th had originally been formed as the 31st’s 2nd Battalion in 1756. Following a number of amalgamations since 1959, the lineage of the 31st Foot is continued today by the Princess of Wales’s Royal Regiment. Two further honours were granted to the successor East Surrey Regiment for the services of the 31st Foot. In 1882 the battle honour “Dettingen” was allowed and in 1909 “Gibraltar 1704–1705” was awarded.